Soil is the most crucial component to a process that feeds the world one person at a time. Soil is everything to a farmer and can determine if a crop will thrive or take a dive. In order for soil to be healthy and give high yields, crop rotation is key. 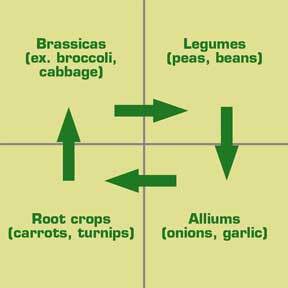 Crop rotation allows the soil time to rejuvenate nutrients, bacteria and richness. This technique of farming is sustainable and naturally produces a much more wholesome product. 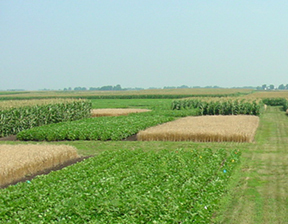 But, it doesn’t stop there: crop rotation also defends against disease and insect invasion. The Great Dust Bowl is a perfect example of what can happen to cropland if it is poorly managed. In this instance farmers were monocropping, which depletes the soil of nutrients and makes crops more prone to disease and insect infestation. The Dust Bowl was directly correlated with poor agricultural practices. The dirt was tilled deeply and became unstable when crops were unable to grow in the drought conditions. Farms turned into huge dust highways. Instances like this lead to smarter and more efficient ways of farming. Crop rotation is the most efficient way of farming. Rotating crops give life to the soil. For instance, while some crops use a lot of nitrogen others will replace it. This technique is a fine balance and can be controlled by legume cover crops. Cover crops include various species of plants that are rotated on the same field to create biodiversity and to replace nutrients that may have been sucked from the ground during the previous harvest season. Changing the type of plant grown builds immunity to disease, while also providing natural weed deterrence and soil stability. The soil becomes more fertile and is able to hold more moisture. Another positive aspect of cover crops is the carbon sequestration created by biomass accumulation. A local farmer who uses this technique is Jedrek Lamb. 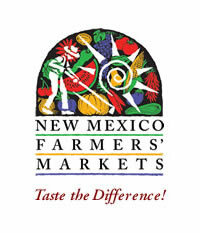 Jedrek’s farm, Granja Para Mañana, is in Bosque Farms, New Mexico. He is a successful small scale farmer and an NMFMA board member involved with local foodshed development. He has founded his own growers’ market in Albuquerque, New Mexico, and manages the market’s sales. Visiting Jedrek’s farm was an eye-opening and inspirational experience, to say the least. It was impressive to see how much food he was able to produce on his two acre plot of land. His knowledge of and love for the land is returned to him through abundant, high quality produce. His style of farming is an ever changing process and he allows the land to speak for itself. As with his style of farming, the rotation of his crops varies and always leaves the possibility for change in plans. During the time I spent on his farm, Jedrek presented his crop rotation plan to me, displaying a square divided into four different quarters. Each grid contains either a food crop waiting to be harvested or a cover crop. He uses legumes and different grasses as his cover crops, some of which can grow to be over eight feet tall. These cover crops are then broken down and plowed back in to the soil. By rotating through these four different plots, Jedrek can produce crops on his farm throughout the entire year. Unlike the majority of farmers, he takes a more relaxed approach to the timing of his incoming produce and does not rush anything, always giving the plant a chance to grow at its own rate. Jedrek is an extremely optimistic man who knows with hard work and dedication, results will follow. However, his biggest source of satisfaction comes from his family and friends. The piece of land that he cultivates originally belonged to his grandparents, which he continues to use to feed and support his family. Jedrek sells at multiple growers markets, and also sells to Farm and Table Restaurant. All remaining produce is given away to those in need to ensure none of it goes to waste. Granja Para Manana – spring lettuce! After our discussion, I spent the remainder of the afternoon planting peas with Jedrek and his family and I couldn’t help feeling optimistic. The whole process of creating healthy produce that feeds not only his family, but numerous people in the Albuquerque area is something astounding. Aside from just that, the kind, welcoming attitude of the entire family is rare in this day and age. As I was leaving, Jedrek kindly sent me off with a bag of fresh lettuce that topped any I have had to this day. As his mom said, “I can’t eat any other lettuce after Jedrek’s,” and he replied, “the first one’s free.” Now I am hooked and have to go back. Overall I had an awesome experience and learned a lot of about the growing process and crop rotation on his farm. I recommend everyone go and visit Jedrek at one of the growers’ markets he attends, you will not regret it!